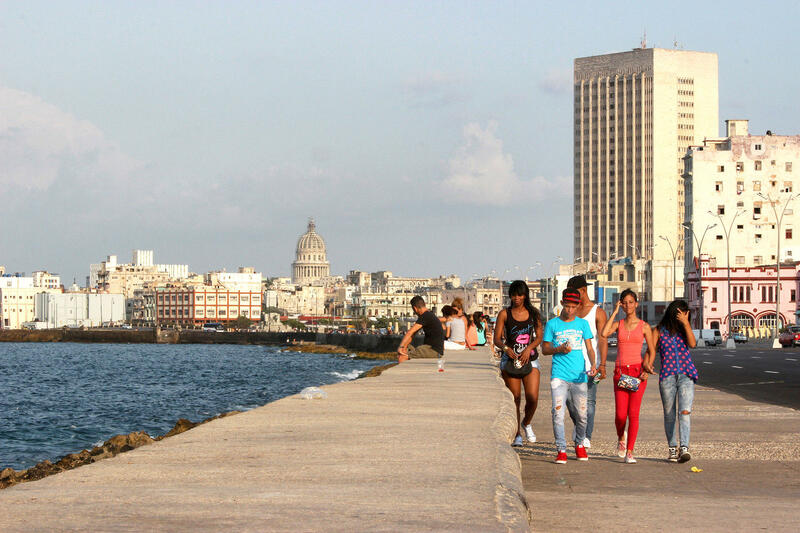 The Malecón is a long promenade, roadway and seawall that stretches 5 miles in Havana, Cuba. Man fishing off the rocks near the seawall with the Morro fortress in the background. 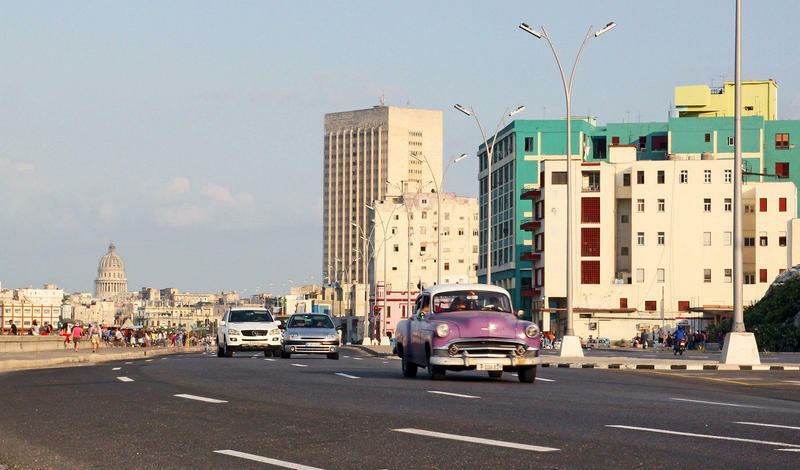 Cars passing on the Malecón roadway. 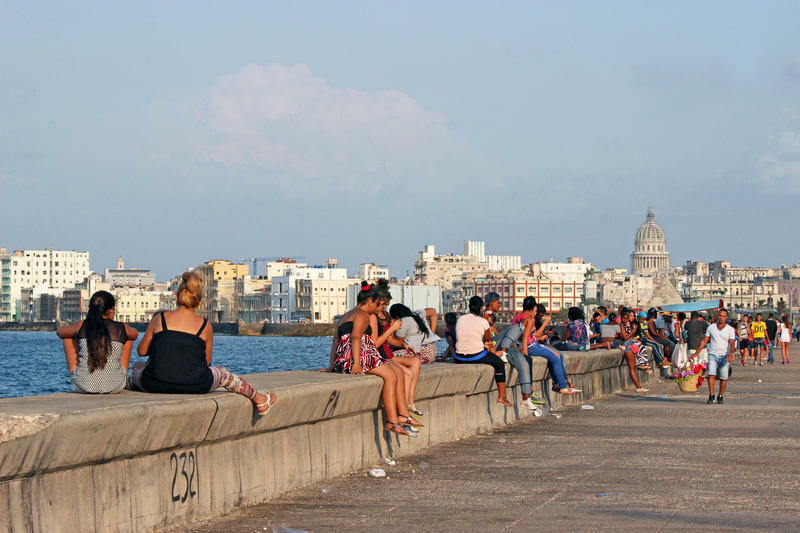 A favorite pastime in Havana: hanging out at the waterfront. 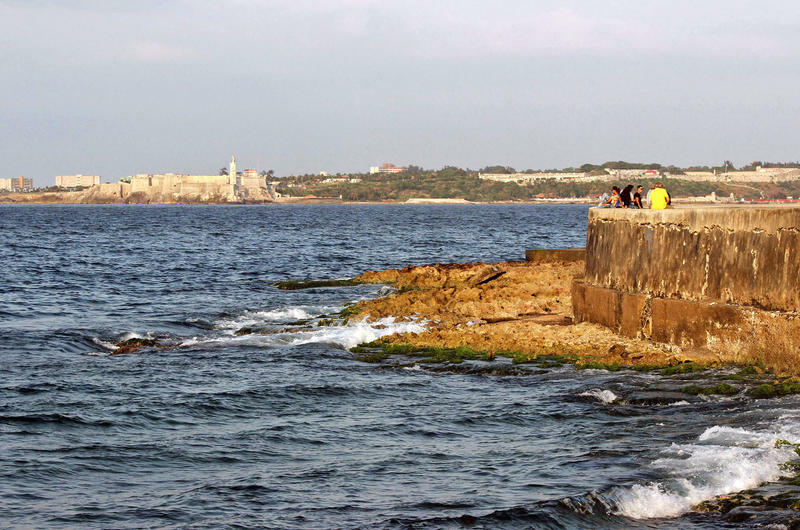 Havana Bay, Malecón seawall and El Morro. 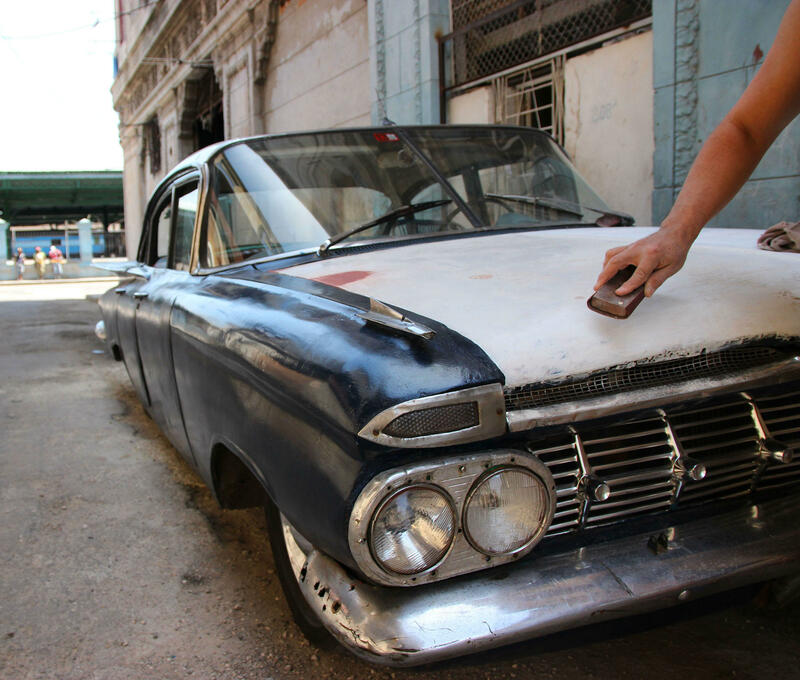 President Obama visited Cuba in March. It was the first visit by a U.S. president in 88 years. 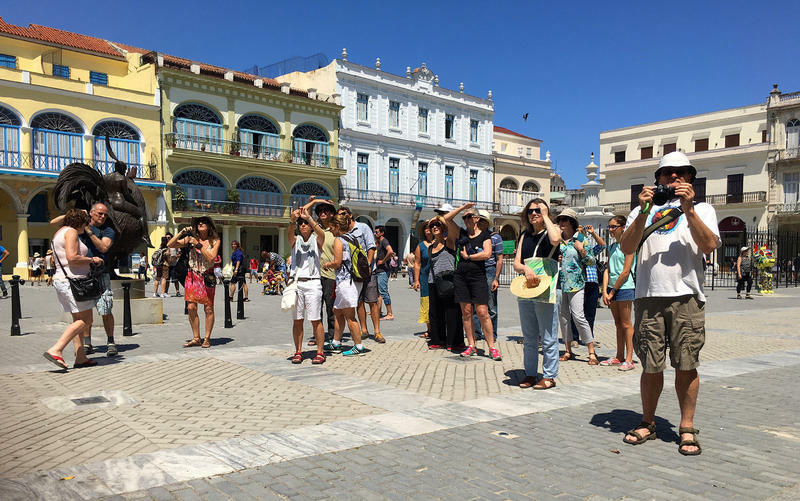 Tourists snap photos of Plaza Vieja in Old Havana. Doug Wageman and Kat Larson of Minneapolis at Plaza Vieja. 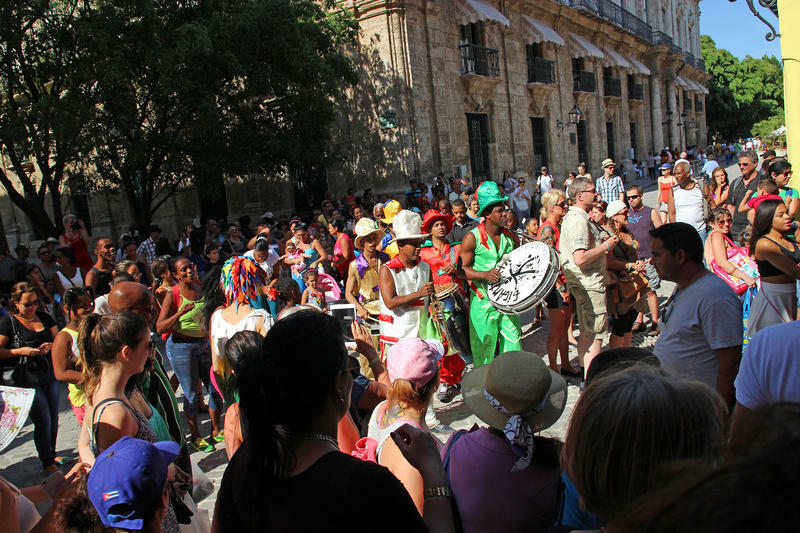 Lively street music invites visitors to join the party. 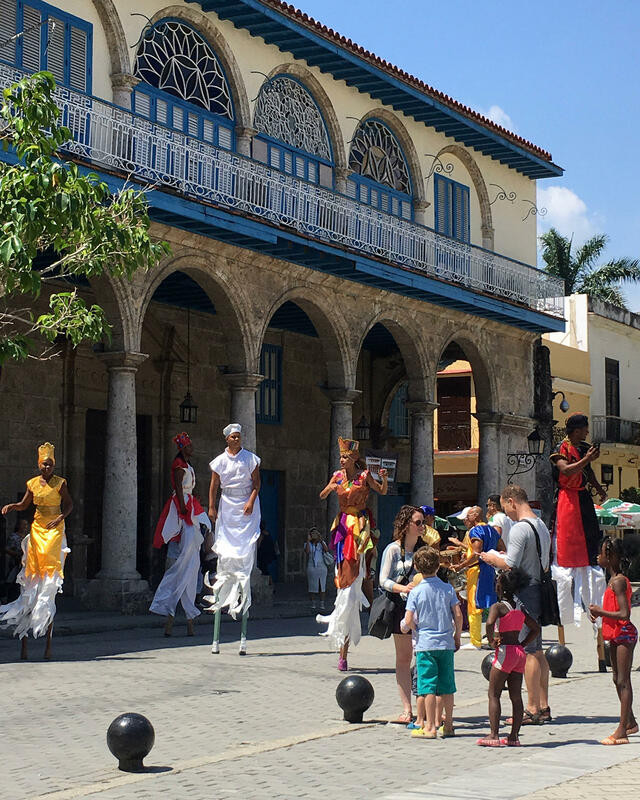 Stilt dancers entertain visitors at Plaza Vieja in Havana. Calle Teniente Rey looking at Convento San Francisco de Asis. 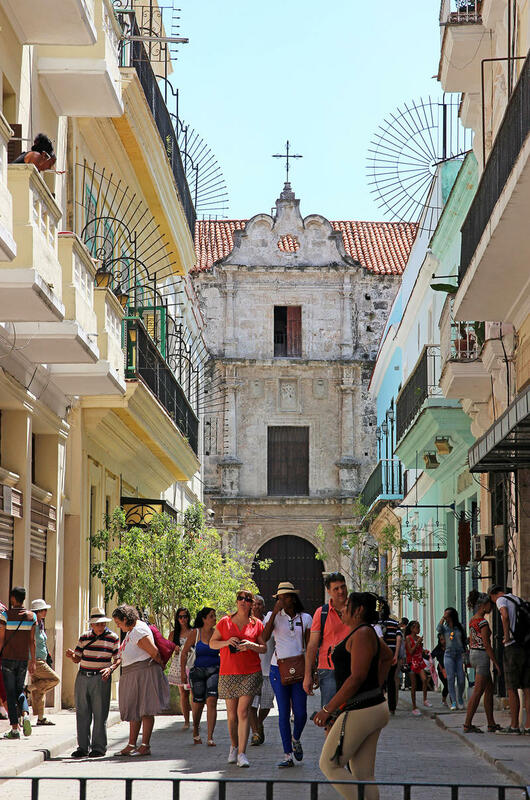 Walking around Plaza de la Catedral. 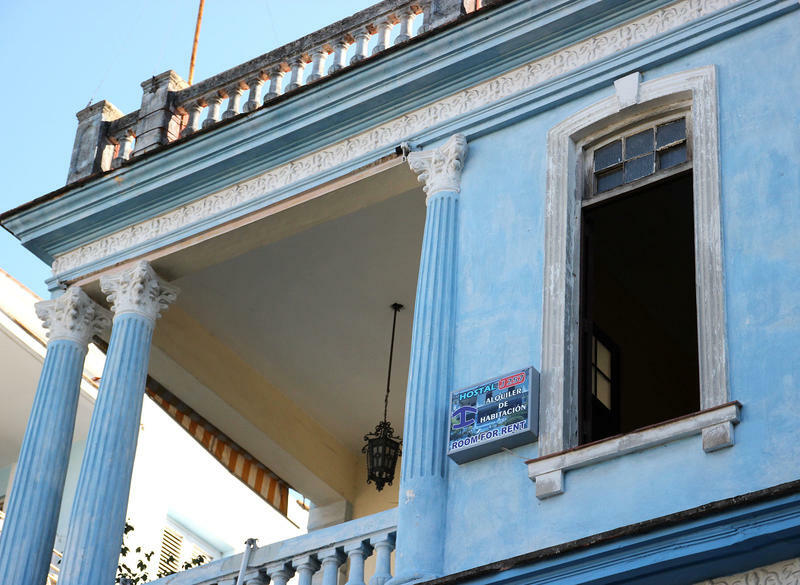 Blue balcony in Old Havana. 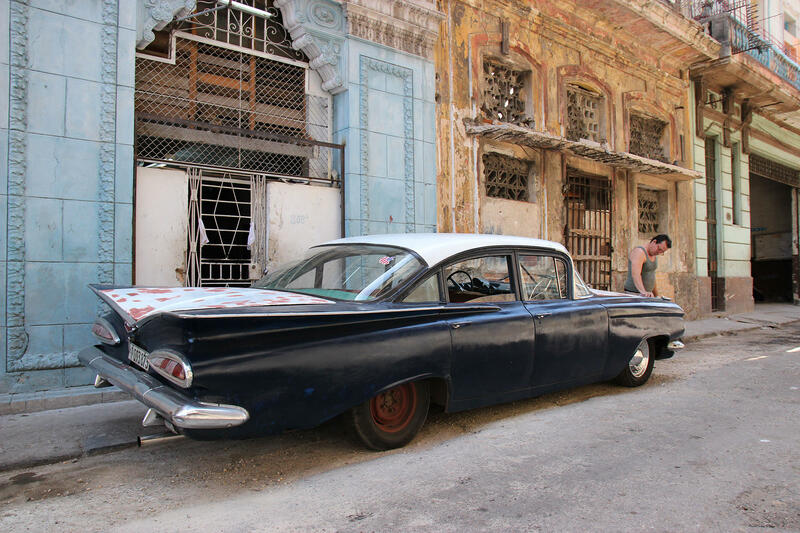 Mario Espinoza with his 1959 Chevrolet Impala. 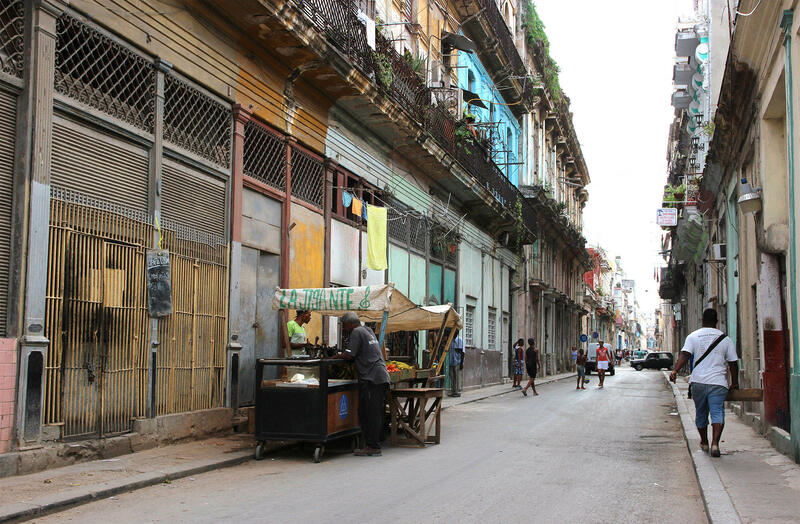 A street in Old Havana. 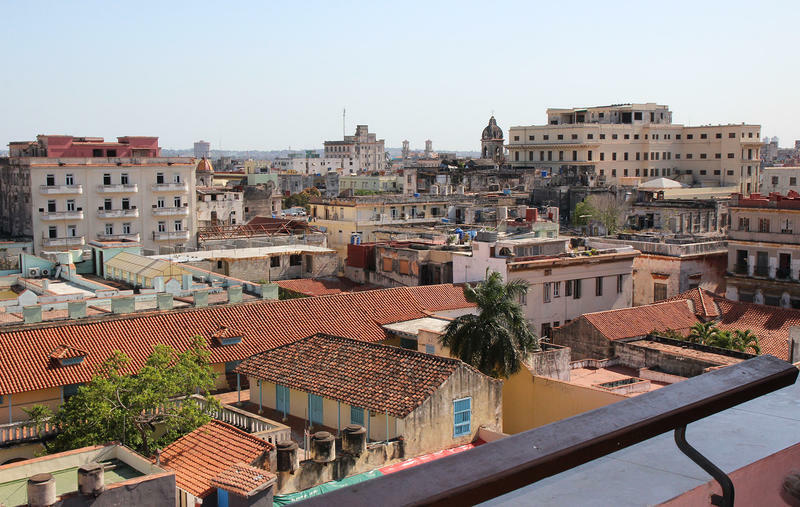 View of Havana from Hotel Ambos Mundos. 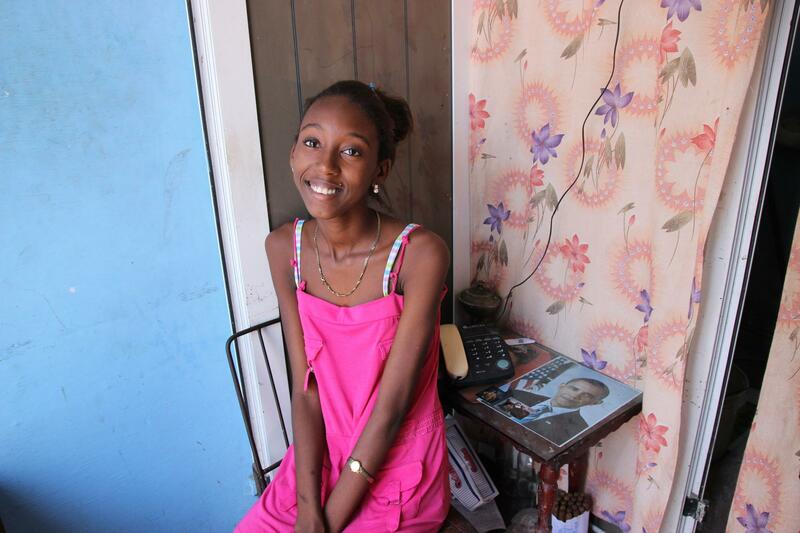 Victoria Duque, 15, sits by a photo of President Obama. 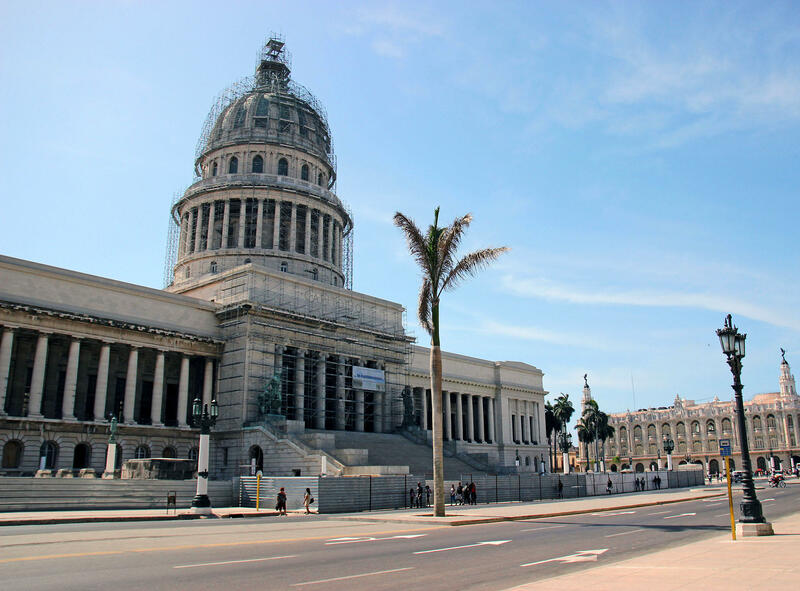 Havana's Capitol building under construction is loosely modeled after the U.S. Capitol building in Washington D.C. 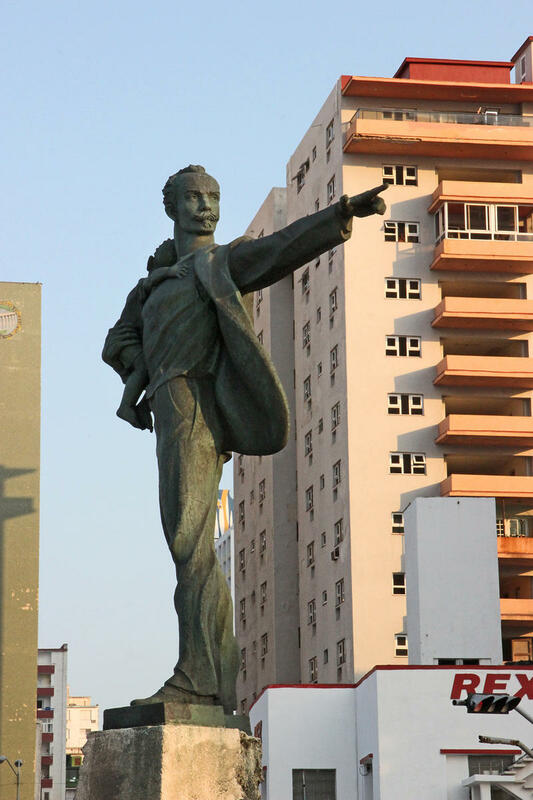 Statue of Jose Marti carrying a child points to the U.S. Embassy in Havana. 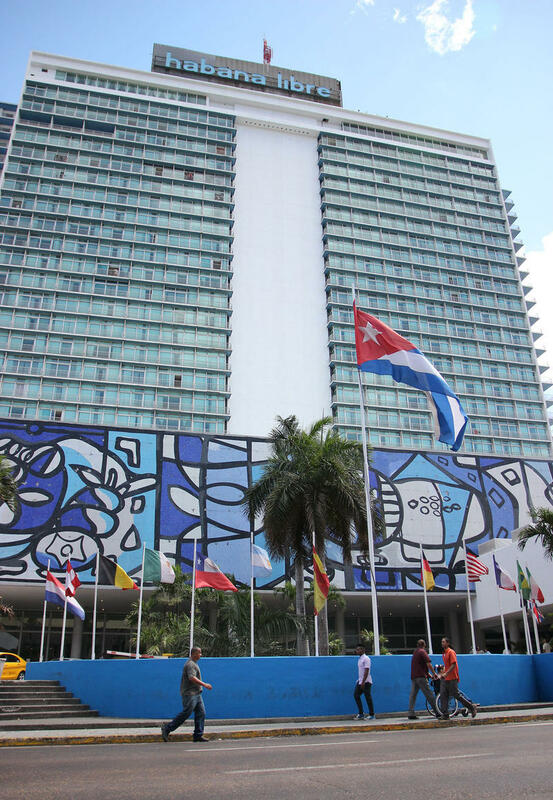 The child is believed to represent Elian Gonzalez. 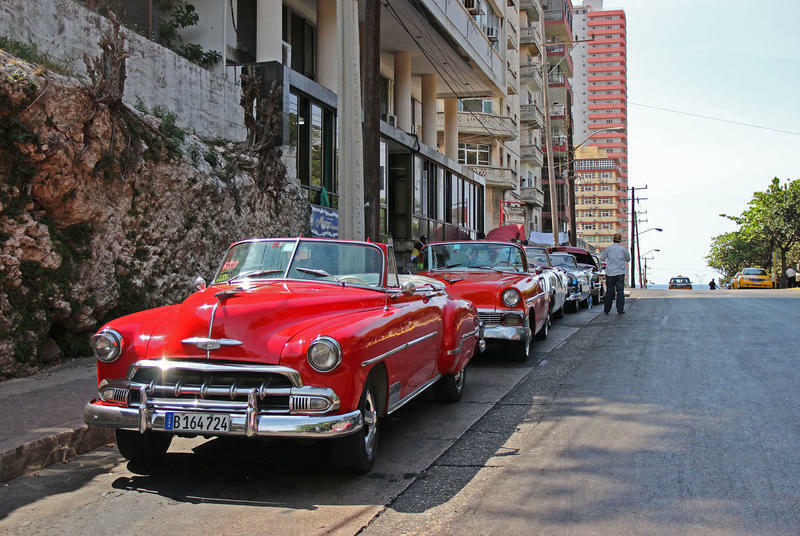 In April, a room with two beds at Habana Libre Hotel was $490 a night. 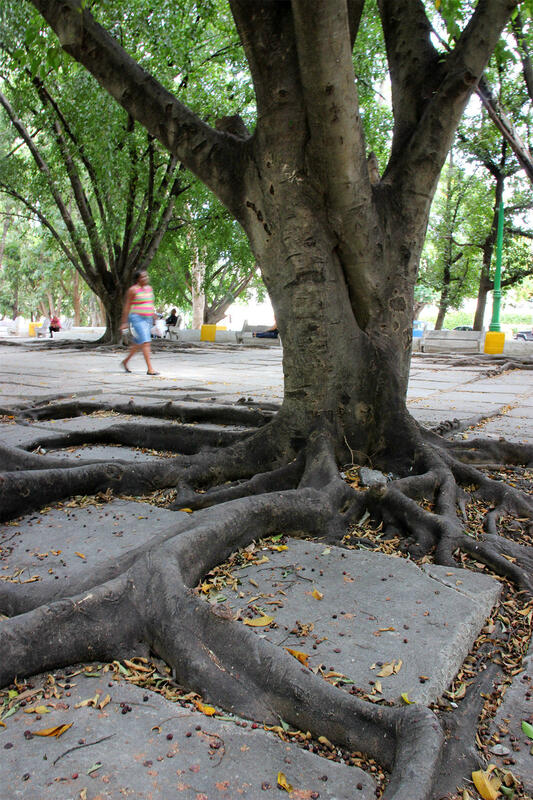 A ceiba tree spreads its roots. Classic American cars line the street waiting to take visitors for a ride. 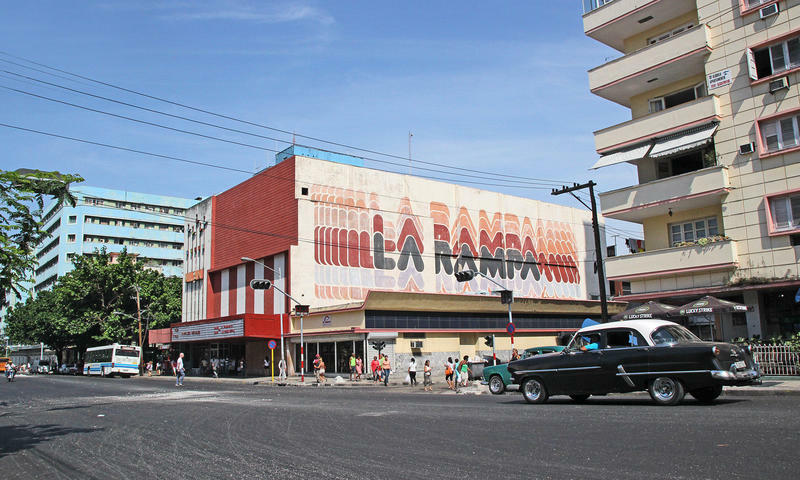 Calle 23 known as La Rampa is a Wi-Fi hotspot. 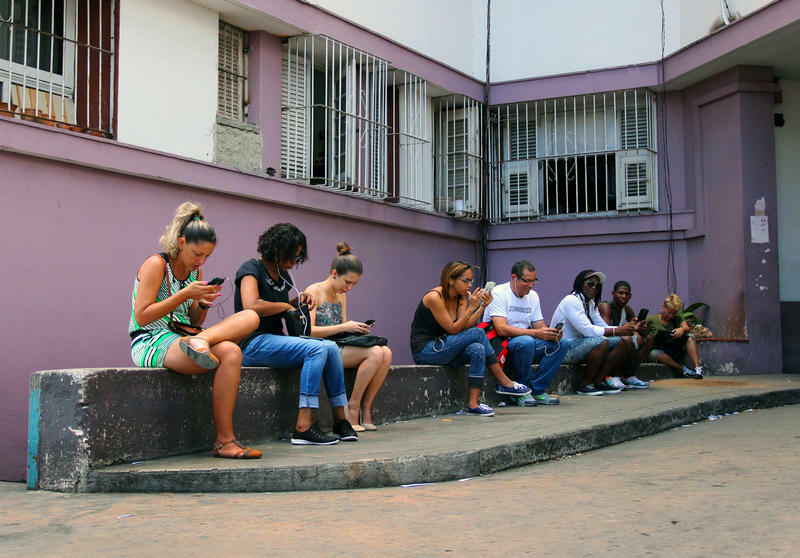 Surfing the web on public Wi-Fi. There are several hotspots throughout the city including some hotels. 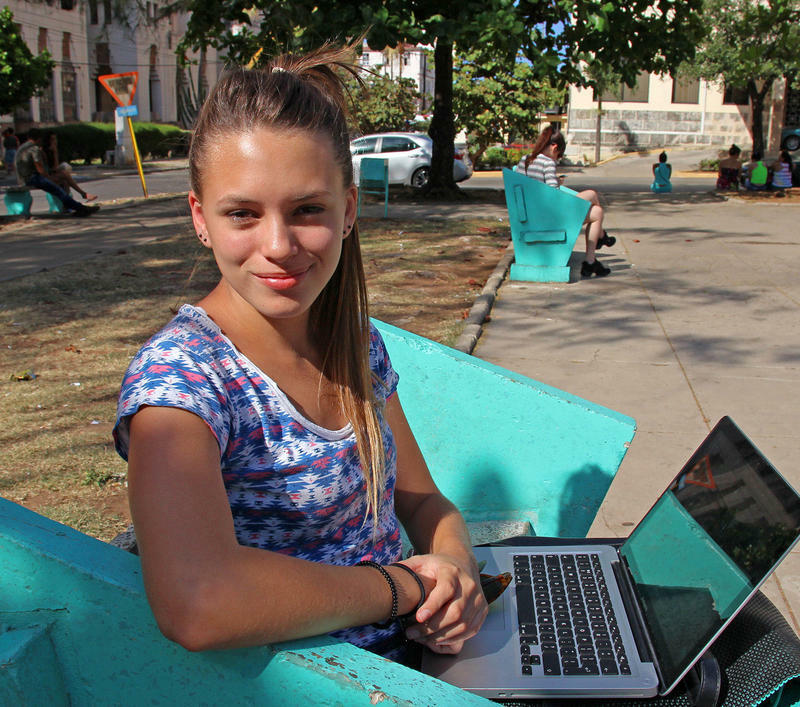 Carolina Rodriguez Mazpule comes to this park in Havana to get online. 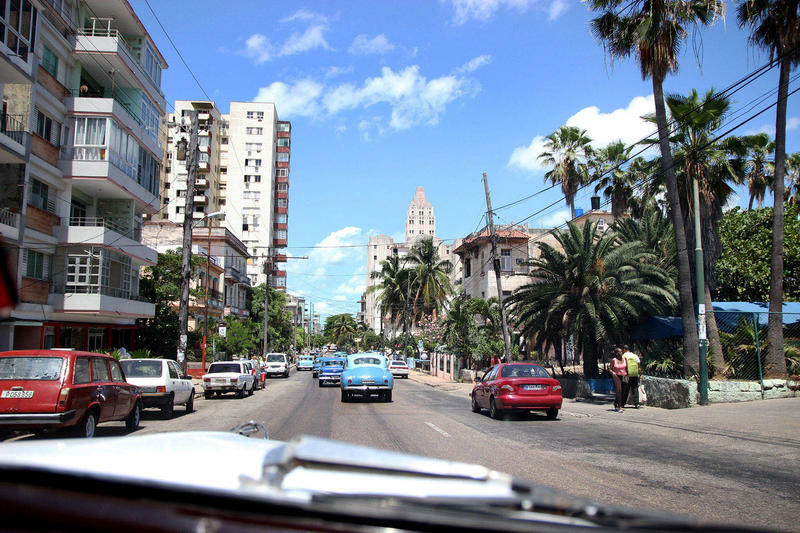 View from the car in Havana. Many apartments or casa particulares are available for rent. 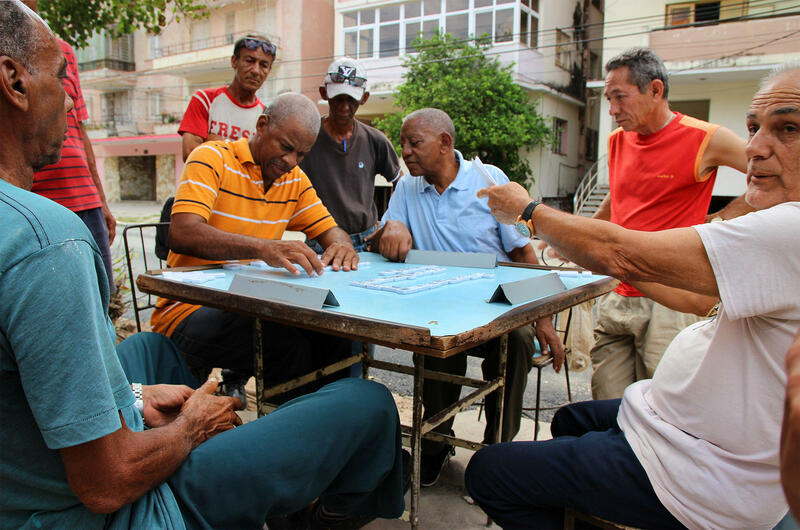 A game of dominoes in the Vedado neighborhood of Havana. 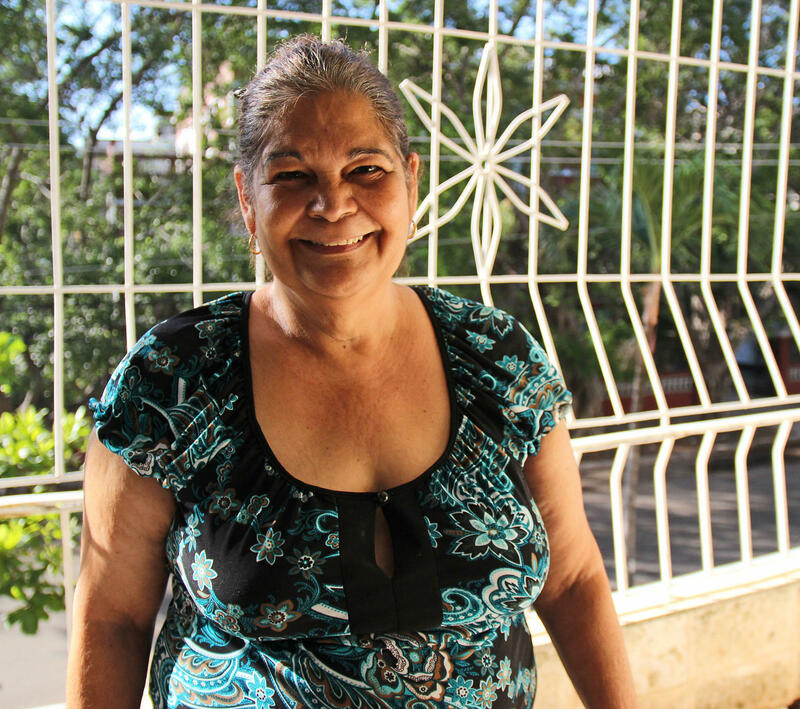 Yolanda Aguilar, 57, spends most of the year with her family in Florida. 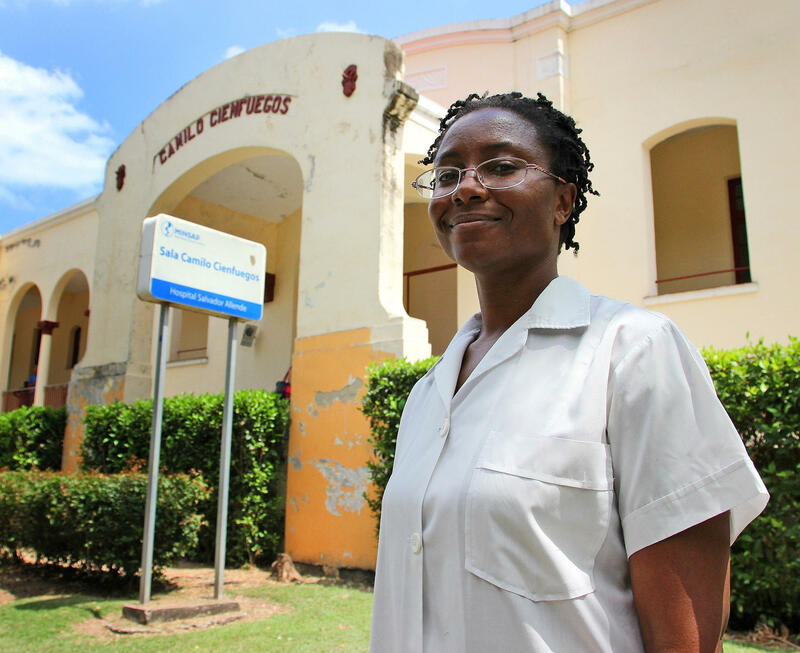 Samantha Moore from Detroit is in her final year of medical school at the Latin American School of Medicine in Cuba. Medical students Daniuvis Alvarez Gonzalez from Havana and Aaron Hanyi from Malaysia at Salvador Allende Hospital near Havana. 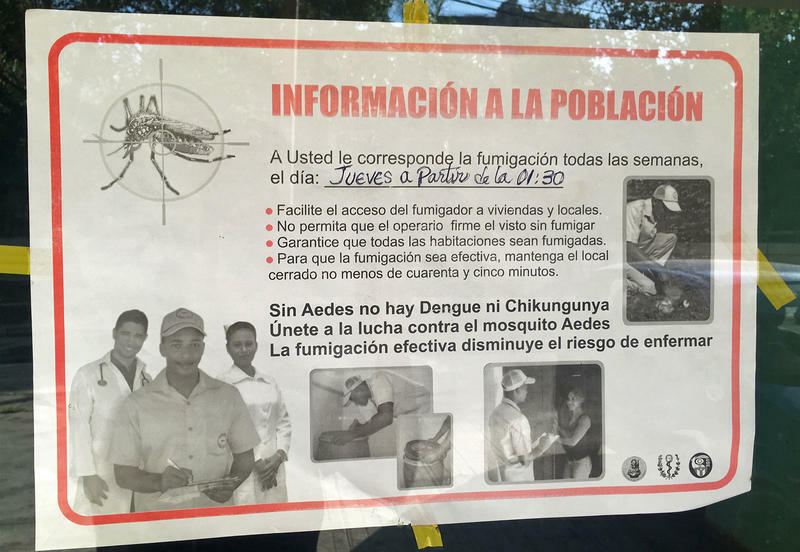 Cuban officials have ordered mandatory fumigation of every apartment and house to kill mosquitos in order to stop the Zika virus from gaining a foothold in the country. A Cuban worker fumigates an apartment in Havana. 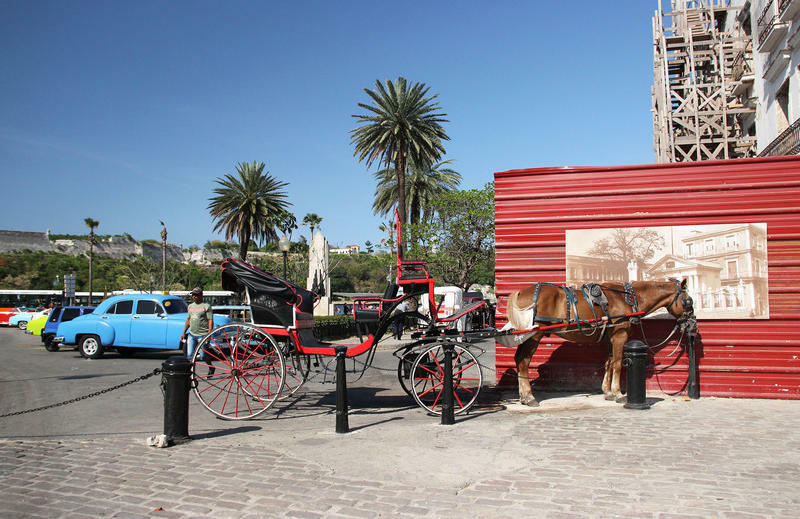 Tracy Samilton interviews the director of the Ernest Hemingway Musuem near Havana. 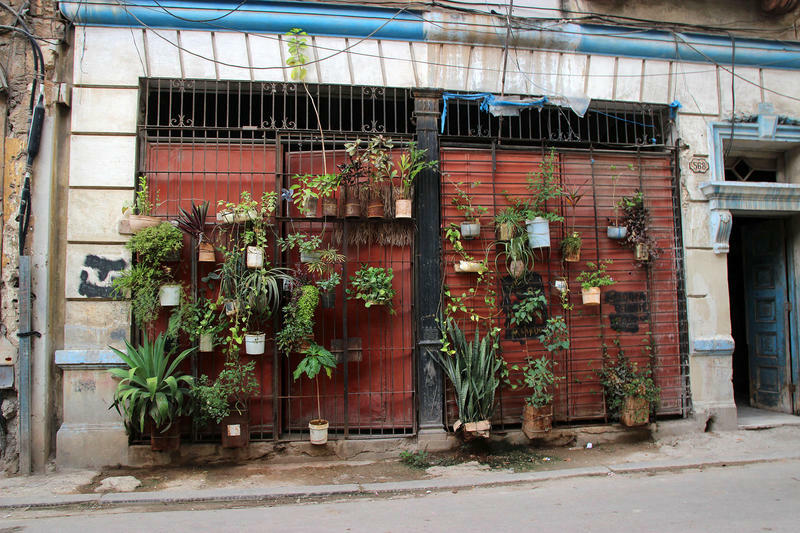 Organic farmer Fernando Funes takes us around his farm near Havana. 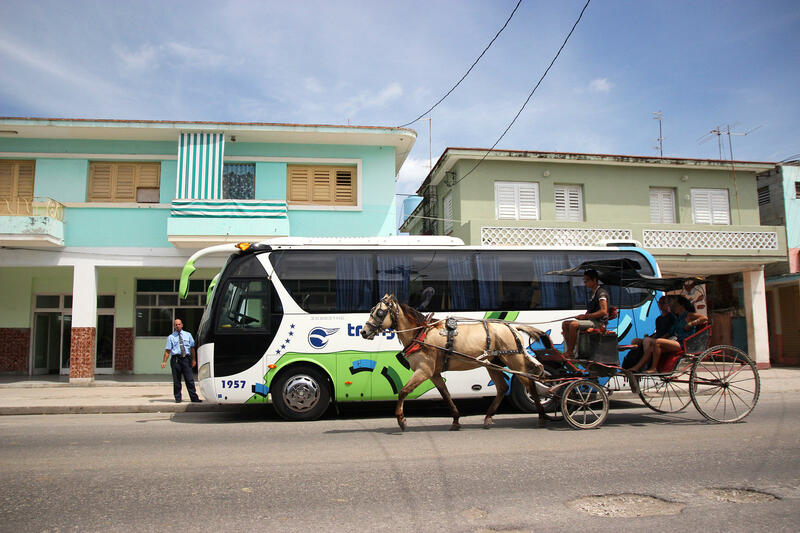 A horse and buggy ride passes our bus. 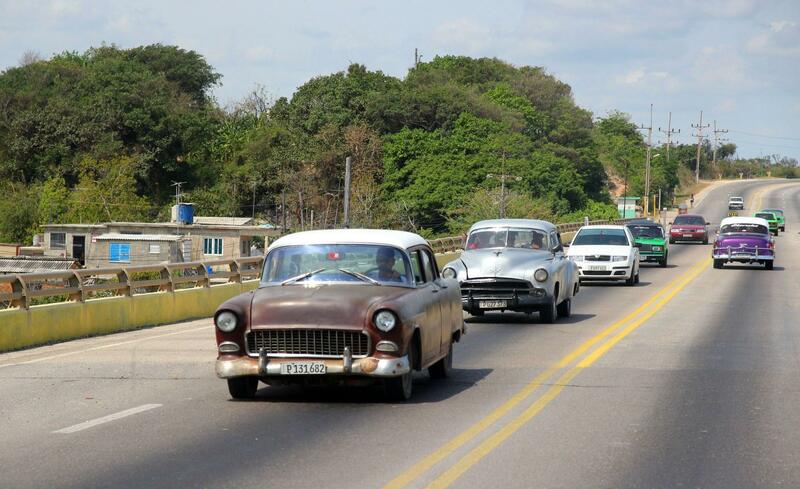 Traffic on the road from Varadero to Havana. 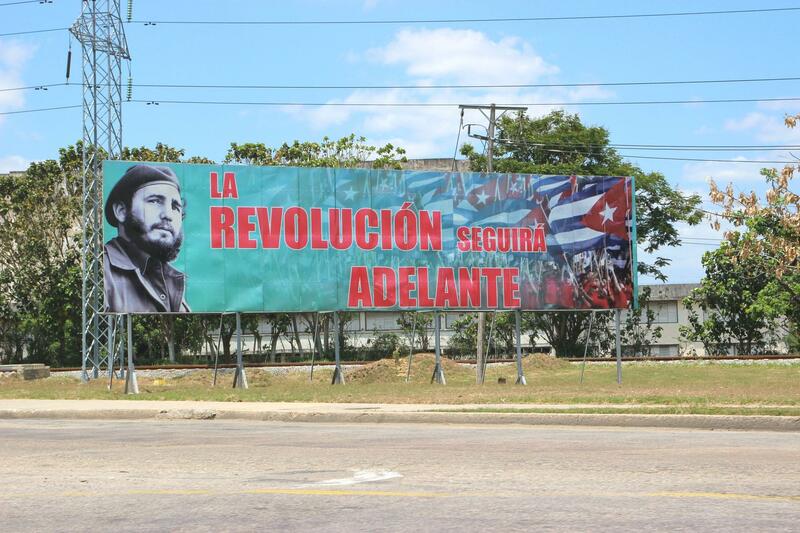 The revolution will move forward. 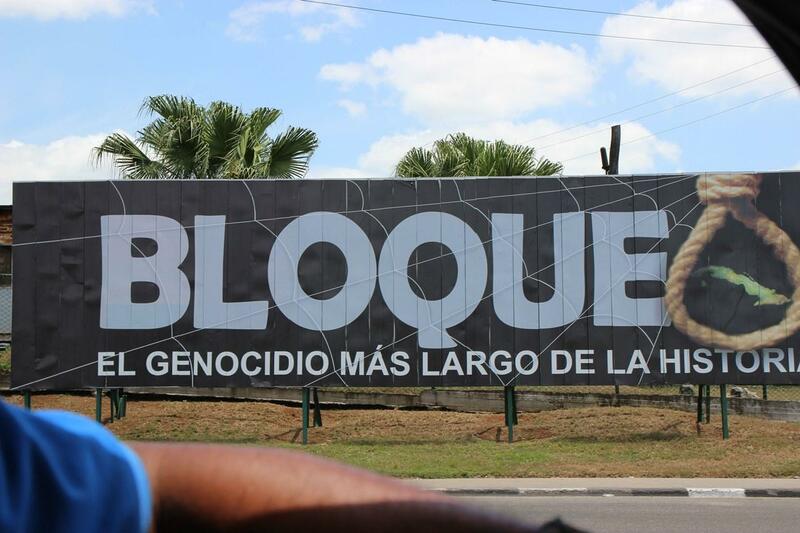 Blockade – the longest genocide in history. 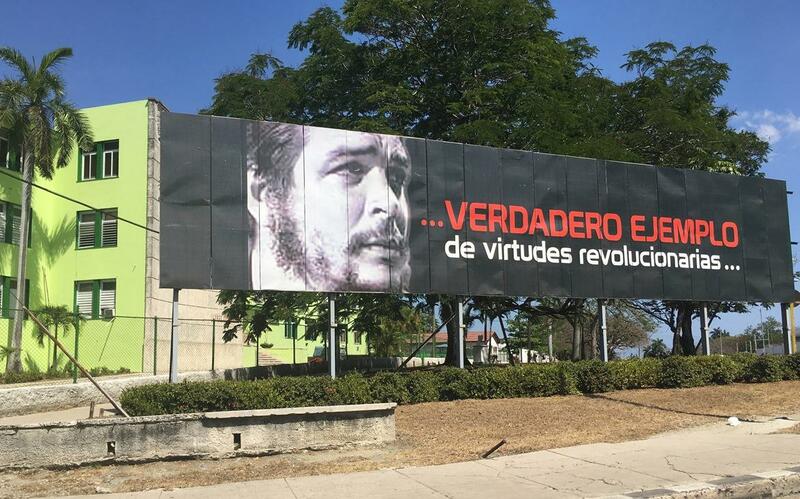 True example of revolutionary virtues. 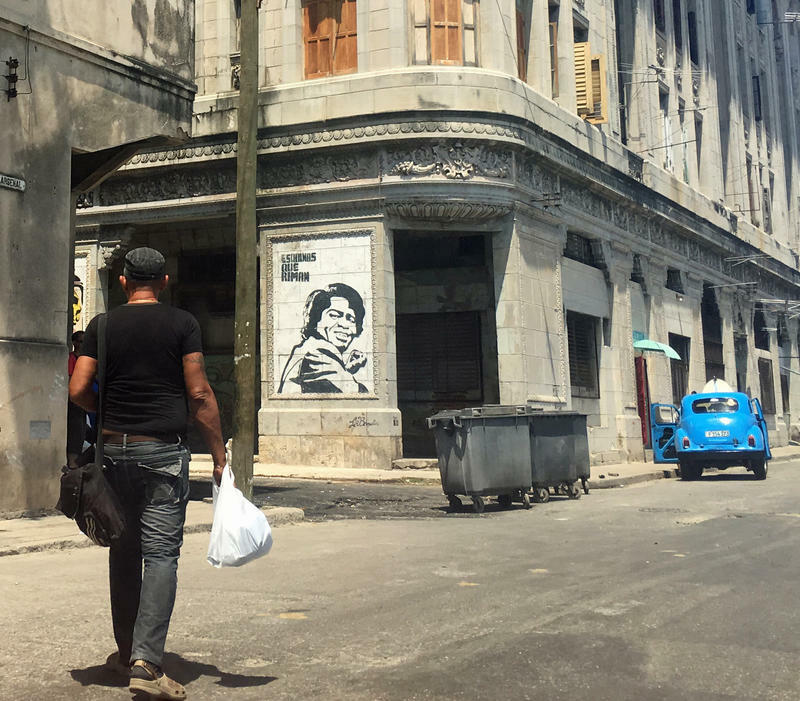 James Brown appears in a poster on a street corner in Old Habana with the slogan "corners that rhyme." 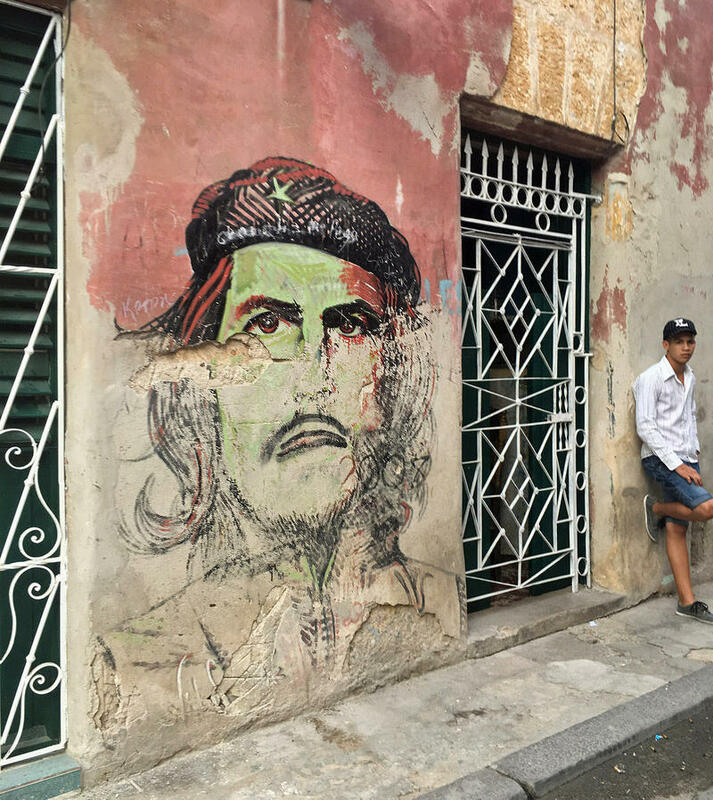 A mural of Ernesto Che Guevara. This is virtuous time and you have to merge into it. Maceo has as much power in the mind as in the arm. 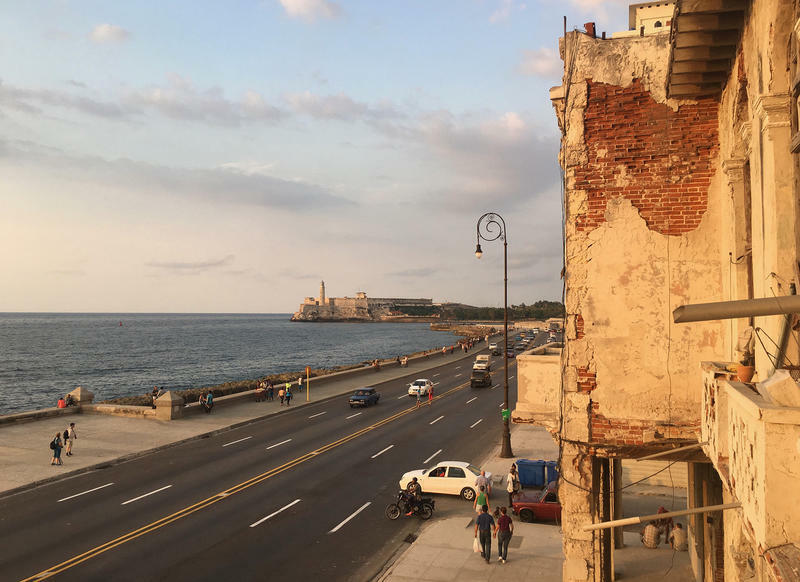 Michigan Radio's Tracy Samilton and I were in Havana to cover the connections between Cuba and Michigan and opportunities for the future. 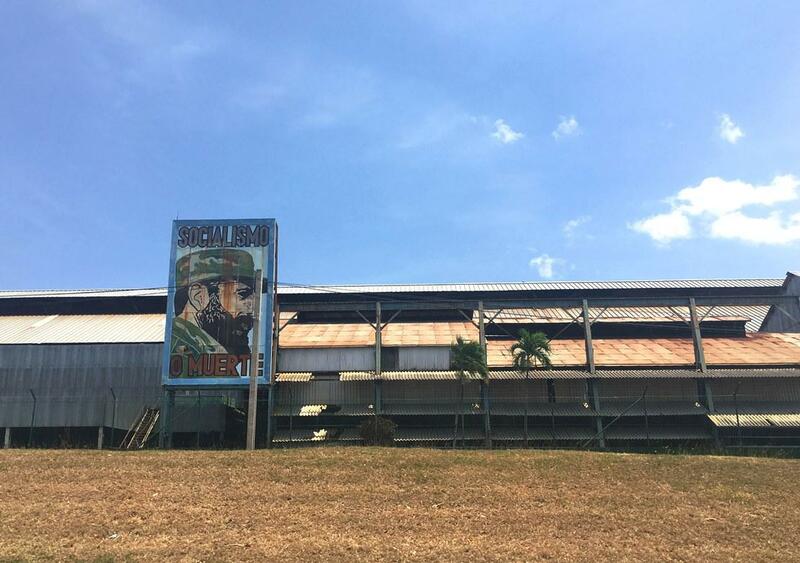 The Michigan Agribusiness Association has been wooing Cuban officials for years now, hoping to sell Michigan-grown produce in a new market. 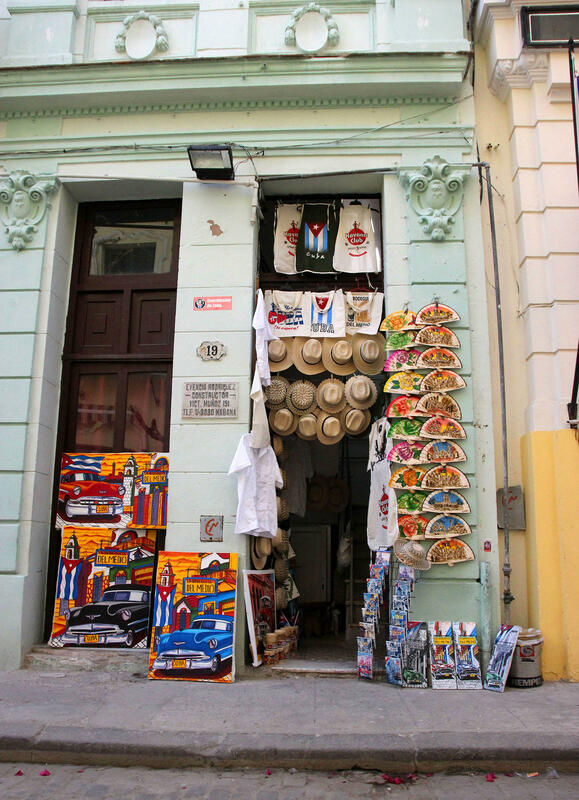 Cuba also sees the U.S. as a potential new market. But there are still many obstacles standing in the way of increased agricultural trade. 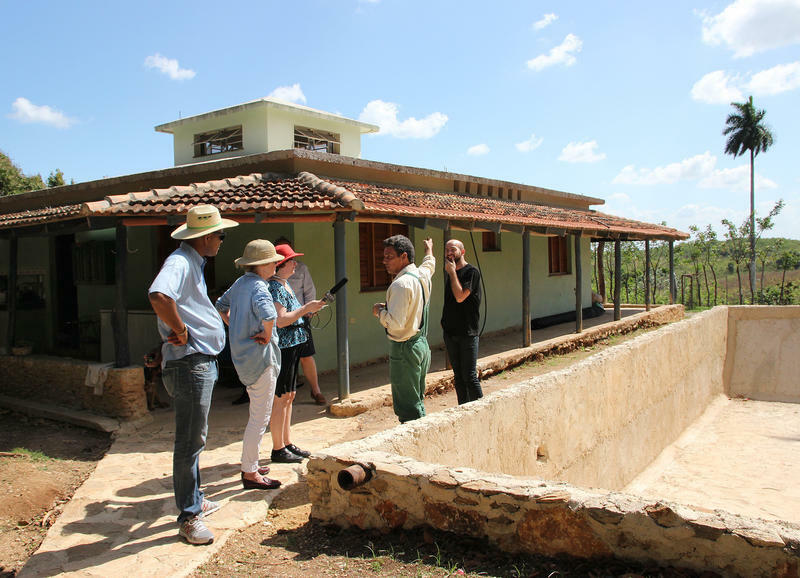 One of them is the low productivity on the typical Cuban small farm. 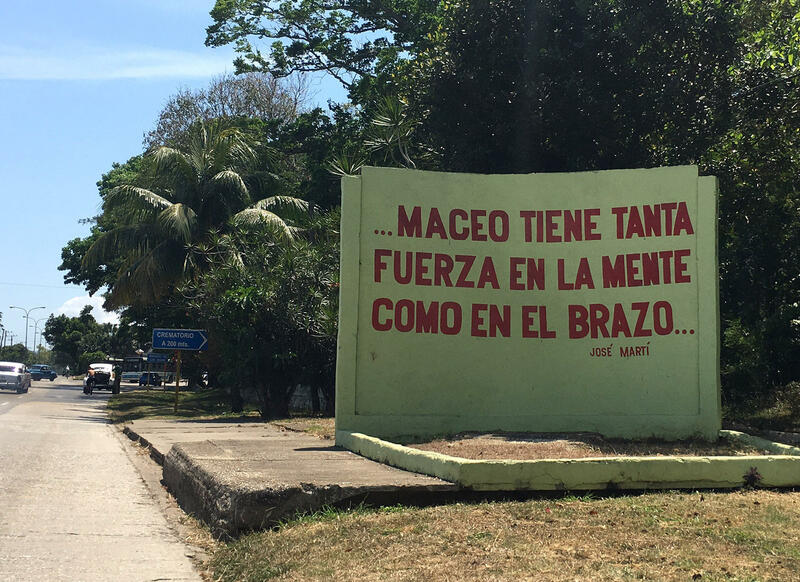 Another story we've been following is that Cuba has long offered free medical training for a select number of Americans who agree to work in high-poverty areas in the U.S. once they graduate. We met one such American, Samantha Moore of Detroit, who is in her final year of medical school. 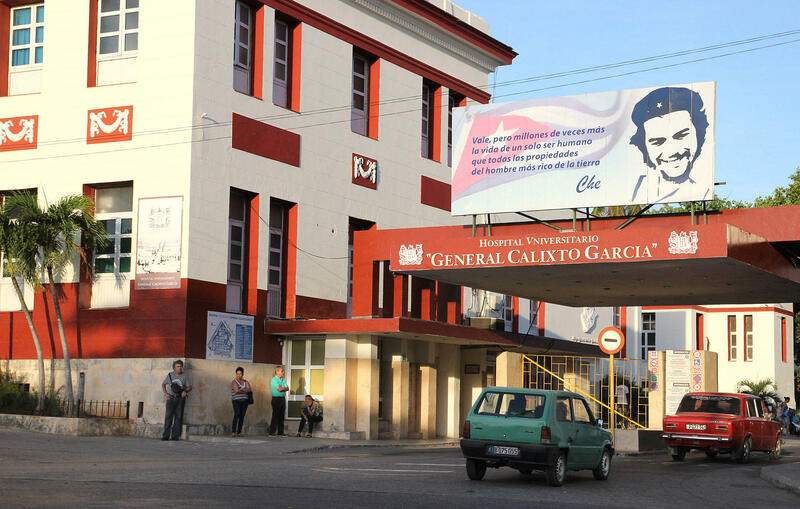 Then, Michigan State University’s medical school made its first trip to show medical students how Cuba’s health system – deeply stressed as it is – manages to keep the Cuban people as healthy as Americans, who spend much more on health care. 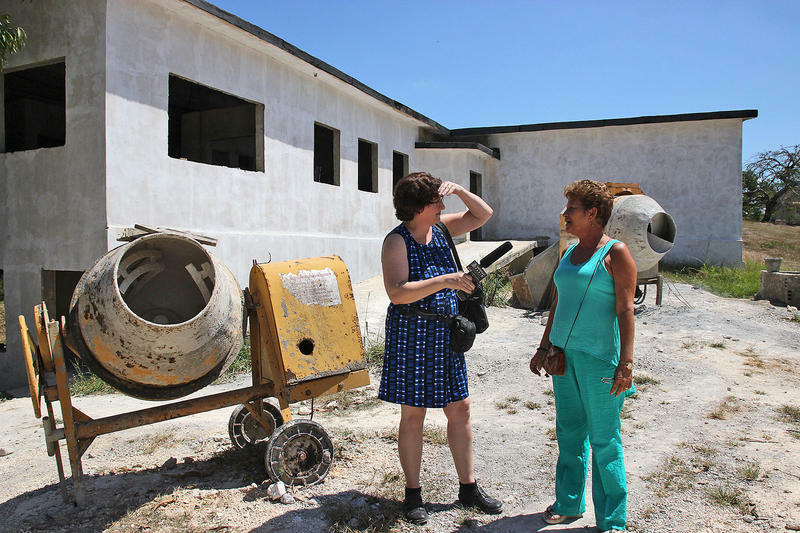 And finally, a Lansing-based firm with decades of experience in renovating historic buildings is helping Cubans construct its first-ever archive laboratory on the site of Ernest Hemingway’s Havana home, which is now a museum. Click and scroll through the photos above to get a glimpse of our trip, including photos of historic buildings, people, landscapes, cars, and billboards. 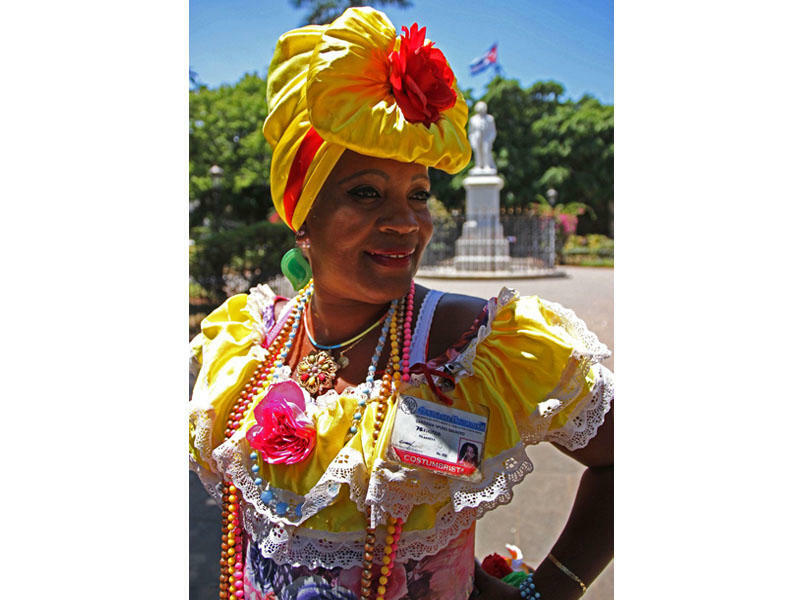 And you can listen to, read and follow all of our Pure Cuba stories here. 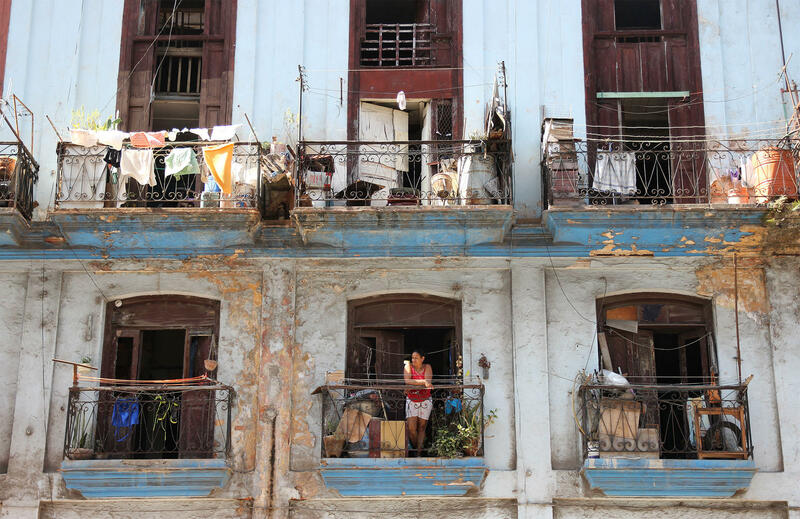 In the decades since the Cuban Revolution of 1959, there has been wide gulf – literally and figuratively – between those who stayed in Cuba and those who left. Ruth Behar was one of the latter. She is a professor of anthropology at the University of Michigan. 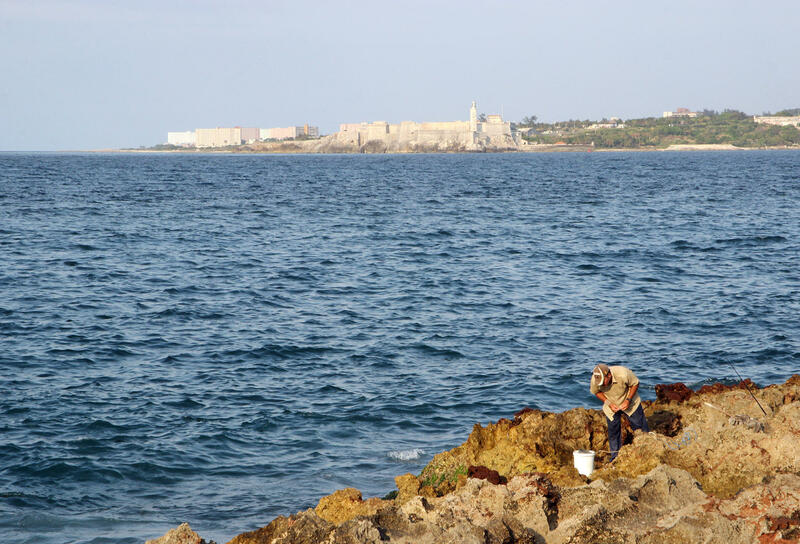 As an academic and a researcher, she was able to go back and forth to Cuba when so many others could not. 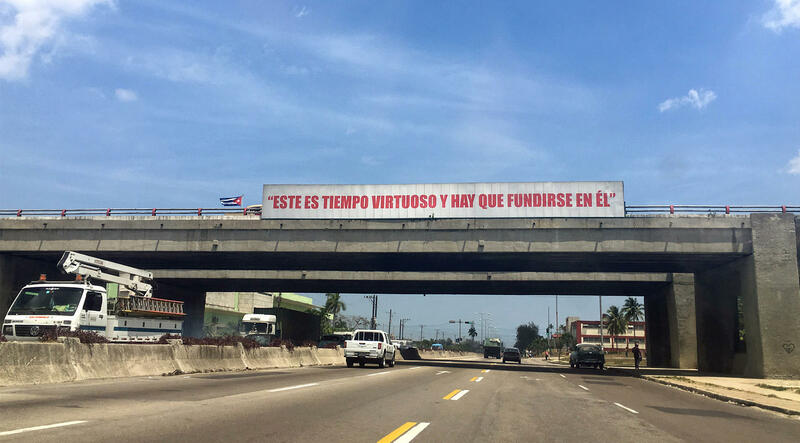 Twenty years ago, Behar edited Bridges to Cuba/Puentes a Cuba. 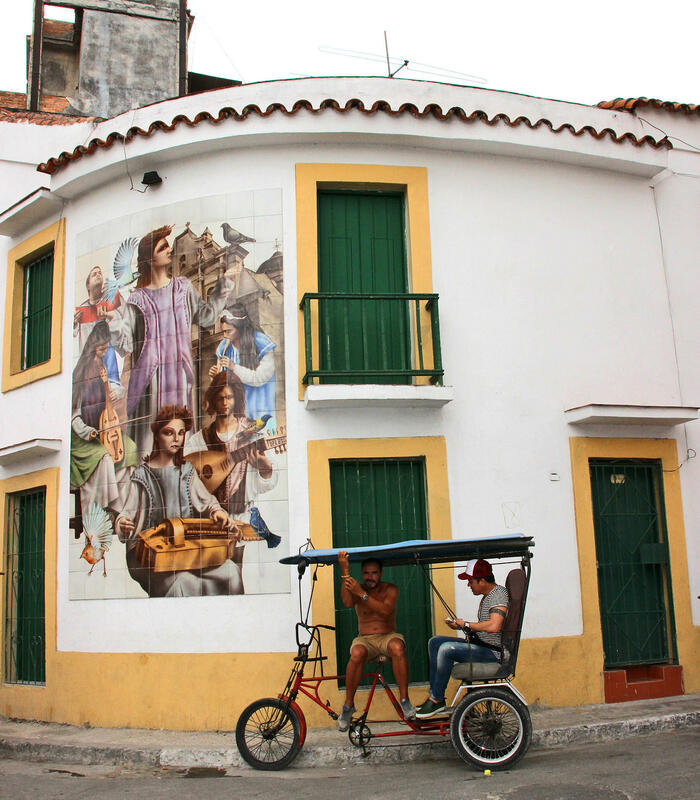 It’s seen as a landmark anthology of Cuban voices, including the works of artists, writers and scholars on the island and in the diaspora. Is it time for the U.S. to end the embargo with Cuba? 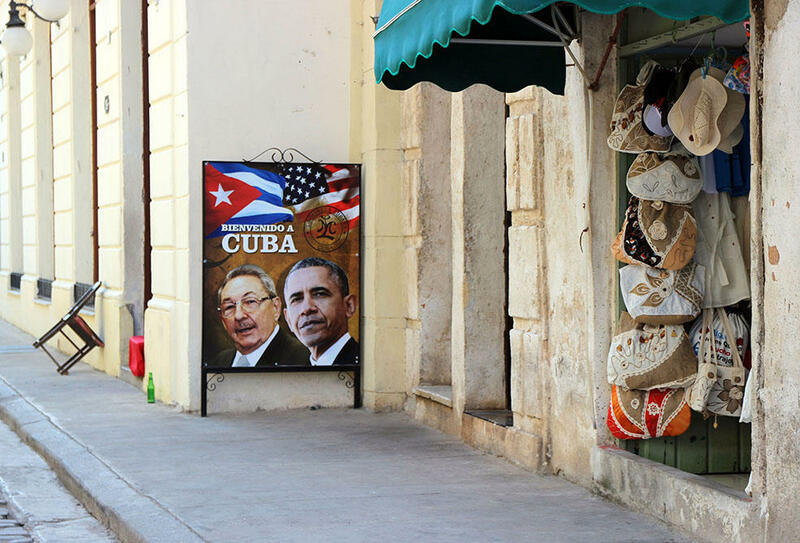 President Barack Obama made history today when he became the first U.S. president to visit the island nation of Cuba since Calvin Coolidge in 1928. 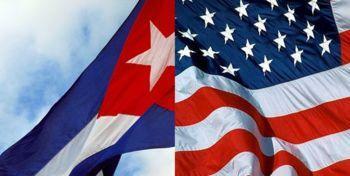 It's seen as an important step toward normalizing relations between the two countries. 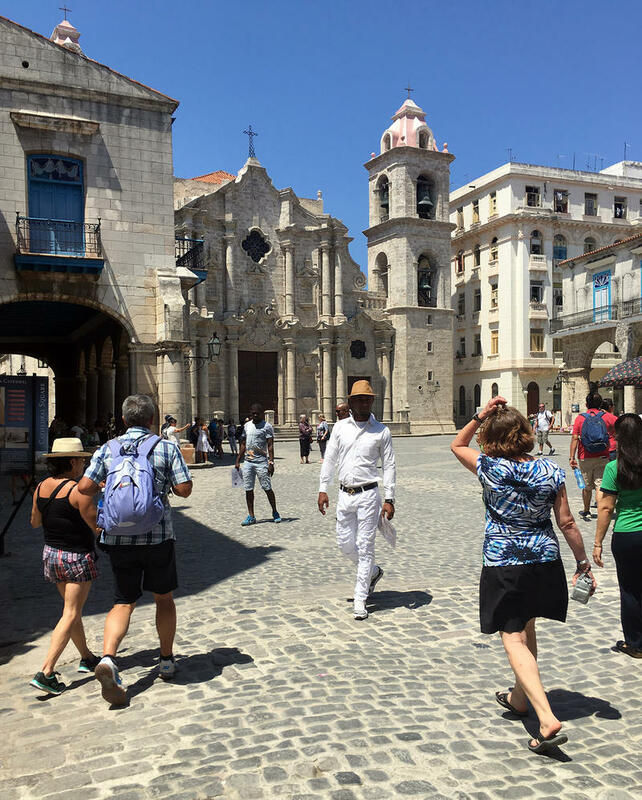 Many Cuban Americans, like Felix Sharpe-Caballero, are following the developing relationship between the two countries very closely. Sharpe-Caballero was born in Cuba and moved to Detroit when he was three years old after his father, who worked at the Guantanamo Naval Base, won political asylum and moved his family to the U.S.